These past weeks, I’ve been scouring the country and especially my hometown Groningen, to do interviews and spend time with people for the ‘Funda’ case. In exploring the various practices that sustain and that rely on Funda, a database of real estate in the Netherlands, I’ve been exploring how visual material about real estate is produced and used and re-used. The aim is to understand how photos (but also floor plans, 3D plans, and videos) contribute to the constitution and circulation of a knowledge about real estate objects, as a kind of everyday knowledge that is strongly visual. Through participant observation, I follow how material is produced by real estate agents, how it is used by house-buyers, and how Funda as a web-based information infrastructure plays a role in shaping this. I’ve also been tracing how other sources of visual material get used by house-buyers, and how various sources relate to each other. 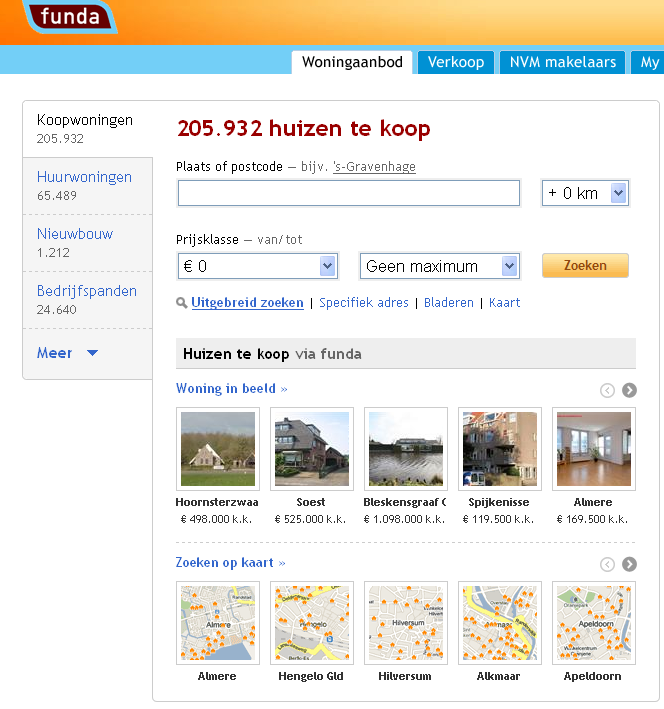 By the way, I’m still looking for users of Funda or potential house-buyers to talk to, so get in touch if you’re willing to talk to me about your experiences (anne.beaulieu@vks.knaw.nl).